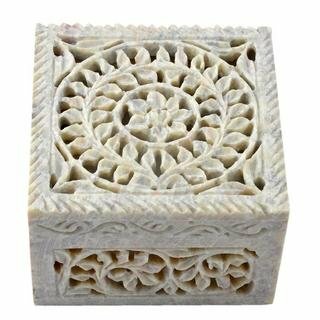 Get the best Hand Made Marbles ans Soapstone Products and other handicrafts from Sehar Crafts. Our products are made by experienced artisans who master at traditional designs and hand carving. 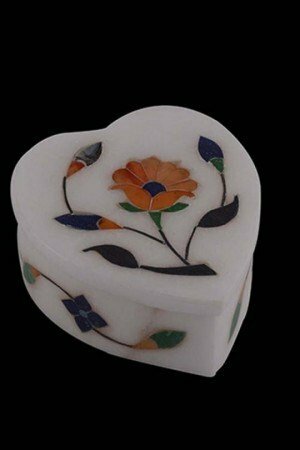 This is Beautiful Jewellery Box Italian Marble vase . The design is hand carved into it slowly and steadily by our artisans. Ideal gift item. Beautiful handmade multicolor/ blue universal color painting designs with polish. Forever easy carry, care and movable gift item for any age persons. It is very luxuries look, it is an elegant addition to any bedroom and dressing table. 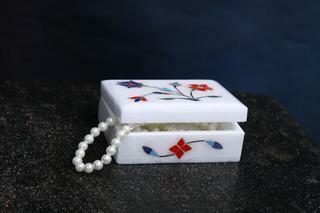 It can hold small jewellary items, official use as visiting card holder, coin box for home and office. 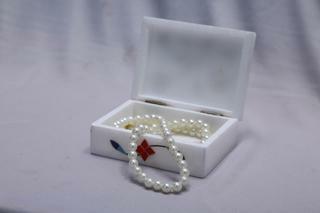 its luxuries gift item to give someone special or officials for any occasion. Please Note: Each piece is hand crafted and there may be some difference in colour and design.